A unique light source. 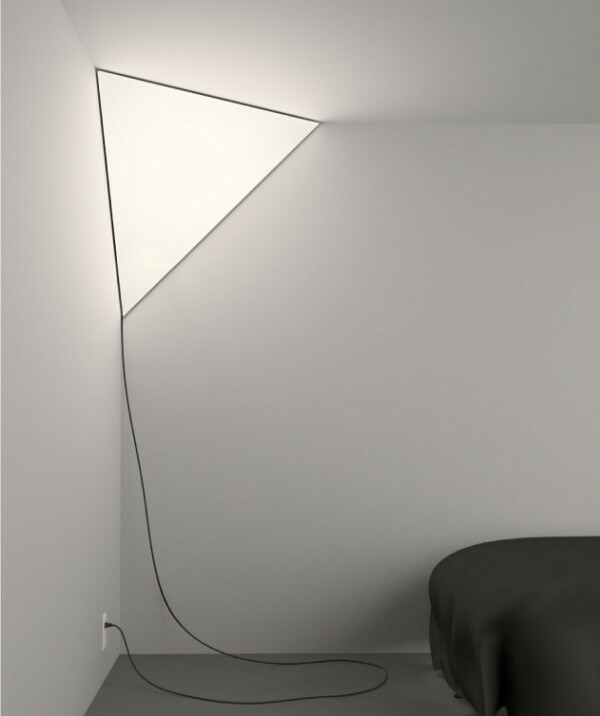 The lamp lives in the corner of a room, creating a glowing triangle that seems to blend-in and stand-out simultaneously. A steel bracket containing the light source mounts in the upper corner of a room. A magnetically attached fabric diffuser attaches to the bracket to complete the iconic light fixture. Designed for Established & Sons in 2010.